As more and more smartphone makers are integrating fingerprint sensors in their handsets, the Asus CEO announced that Zenfone 3 will get a fingerprint reader of its own. In an interview with a Chinese news outlet, Asus CEO Jerry Shen stated that the upcoming Asus Zenfone 3 will integrate a fingerprint reader. While the Asus Zenfone 3 is expected to be launched in the first months of 2016, Asus fans don't have to wait that long to get a smartphone with a fingerprint reader. 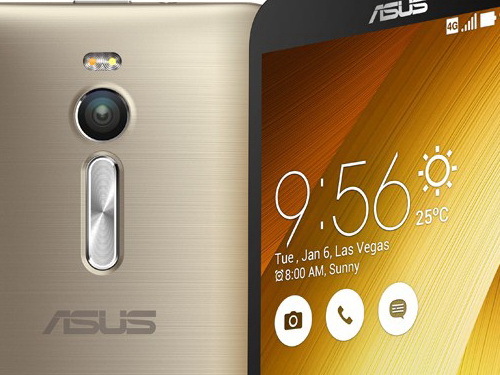 The Asus CEO also announced that the current-generation Zenfone 2 line-up could get the fingerprint sensor through a "facelift" update expected to arrive in the second half of the year. The current-generation Asus Zenfone 2 line-up consists out of multiple models, but two of them stand out as being more attractive. First there's the ZE550ML version that integrates an Intel Atom Z3560 chipset, and then there's the slightly more powerful ZE551ML version that makes use of an Intel Atom Z3580 chipset. The latter version was spotted in the AnTuTu database obtaining a score of 50000 points, which is impressive considering the upper mid-range price. The original Asus Zenfone, a 5-inch smartphone based on the Intel Atom Z2560 chipset, was launched back in April 2014. This announcement comes at a time when numerous smartphone manufacturers have started integrating fingerprint sensors in their handsets. The Apple iPhone 6, the iPhone 6 Plus, the Samsung Galaxy S6, the Galaxy S6 Edge, or the Samsung Galaxy Alpha are just a few examples. Unfortunately, although fingerprint readers do provide an extra layer of security, they are far from being a one-stop solution for mobile security, as multiple reports found that the fingerprint sensors can be circumvented by hackers.